Click here to purchase the DVD or an Activist or Educational License. DISPATCHES FROM CLEVELAND: MAKING OUR VOICES COUNT! is a guide for those who are ready to turn neighborhoods into communities, advocate for community policing, and push for an intersectional approach to racial and social justice. The film series, which begins with a contextual understanding of the Tamir Rice shooting and the history of racial injustice in Cleveland, makes the case for a community organizing approach to power-building. 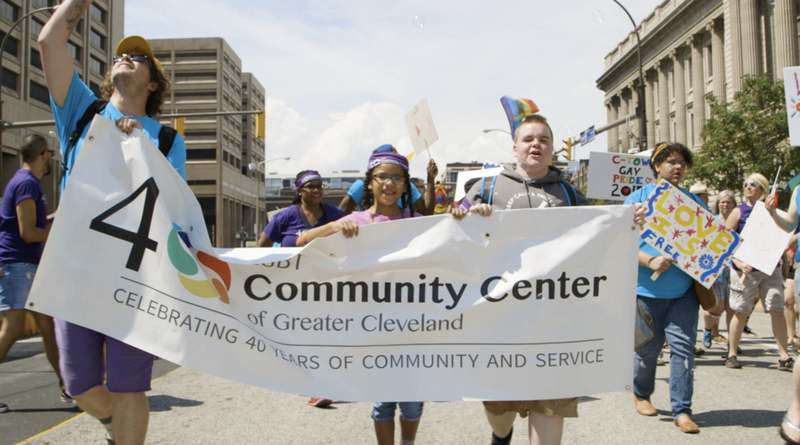 We do this in collaboration with Clevelanders on the ground who are still in the midst of a multi-pronged fight for LGBT rights, housing, economic justice, and racial justice. Each documentary module of the film follows ordinary people whose love for their home pushes them to work together to bring about real change. The discussion guide complements each of the five film modules to delve deeply into the topics covered and offer points of engagement and action for individuals and communities. This guide and the film are a candid look at the complexities of our “big tent” strategy and the barriers that inhibit intersectional organizing. Whether your group is organizing a voter drive or a town hall about police brutality, we hope DISPATCHES FROM CLEVELAND: MAKING OUR VOICES COUNT! will inspire you, your students, your organization, your place of faith, and your community to action that can bend the arc of justice! HOW TO USE THIS GUIDE WHO IS THIS GUIDE FOR? Inspire Civic and Voter Engagement! DISPATCHES FROM CLEVELAND: MAKING OUR VOICES COUNT! This discussion guide accompanies the five chapters of the documentary Dispatches from Cleveland (DFC). The series examines what intersectional organizing looks like on the ground and we hope that the film and the guide will inspire people nationwide: activists, organizers and those who desire to make a difference in their communities. Click on each photo to view resources and organizations you can support that tie in to each of the five chapters. Do you want to host a screening of Dispatches From Cleveland? Check out this PDF guide with information and resources. BALLOTPEDIA created this easy to use ballot lookup form. Aubin Pictures produced the Dispatches from Cleveland film and discussion guide. It was formed as a not-for-profit organization in 1996 by Catherine Gund, with a mission to develop, produce, and distribute documentary films and videos that promote cultural and social awareness and strategic and sustainable social transformation.